Thailand Digital Game Arena took place in Siam Paragon, Bangkok,Thailand the 12,13,and 14th of August 2016. It’s a major event in the video game world in Asia. I shot the pictures with a Sony A7R2, Sony G lens 24-70 F2.8 and the flash F43M. it’s a cosplay event and contest with concerts and anime songs. Cosplayers come mainly from Thailand but there are as well many performers who come from Japan and other asian countries. We shot the most beautiful models and costumes and you can see below the pictures. Thanks to all the pretty models who took the time to pose for us! Thailand Comic Con is a major event for movies, comic books, board games, video games, and Cosplay. Organised by Hobbie Plus Company Limited, it took place the 22nd,23rd,and 24th of April 2016 at Siam Paragon, BTS Siam, Bangkok. The best cosplayers of Thailand came with their beautiful costumes and we had the chance to take amazing pictures! Japan Festa is the biggest Japanese Pop Culture event in Thailand. Hundreds of Cosplayers were present to sing, dance, and show their beautiful costumes. It took place in CentralWorld, a shopping mall in the center of Bangkok, the 23rd and 24th of January 2016. There were some Cosplayers from all over Asia, and of course a lot of Thais. Cosplay is very popular in Thailand. I shot around 600 pictures in 2 days, and finally I have selected 78 of them. I edited them in Lightroom, and some in Photoshop to create a better Cosplay atmosphere. I even made a cartoon effect on one of them, it was interesting to try. I shot all the pictures with my Sony A7R2, a prime Zeiss lens 55mmF1.8 and a Sony Flash F43M. even if it’s not a wide angle, I managed to get the entire costume in the frame most of the time, which is the purpose in this kind of events. Tatiya “Nuttiiz” is a student in design, a beautiful model and a Cosplay Star in Bangkok. She was wearing an amazing Santa costume for a photo shoot at CentralWorld, Bangkok. The most beautiful models, called “Pretty” in Thailand were at the Mobile Expo at the Queen Sirikit Convention Center to represent the major high-tech brands. For the video game, some beautiful cosplay model were present as well. I shot all the pictures with the new Sony A7RII, Zeiss Lens 55mmF1.8 and the Sony flash F43m. The Mobile Game Festival 2015 took place at Siam Paragon, a prestigious shopping mall in the heart of Bangkok, Thailand. The major mobile game compagnies were here to present their game and beautiful models were sporting the corresponding costume. I shot these pictures with the brand new Sony A7RII , the Zeiss lens FE55mmF1.8 and the flash F43M. most of the time I used an aperture of 1.8 or 2.8 for one model and 5 to 8 if there were 2 or more models on the same picture. the shutter speed was 1/160 and the ISO depending on the light. 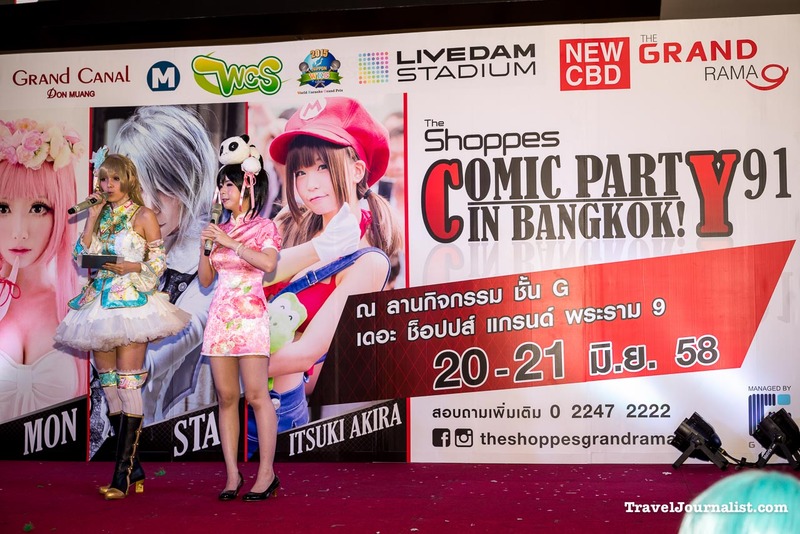 The 91st edition of the Cosplay Comic Party took place at The Shoppes Grand Rama 9 the 20th and 21st of June 2015. Many beautiful models and costume could be seen at this event and there was a contest as well to choose the best costume and performance. You can see in this article the best pictures from this event that I shot with my Sony A7R, Zeiss lens 55mm1.8 and the flash F43M. 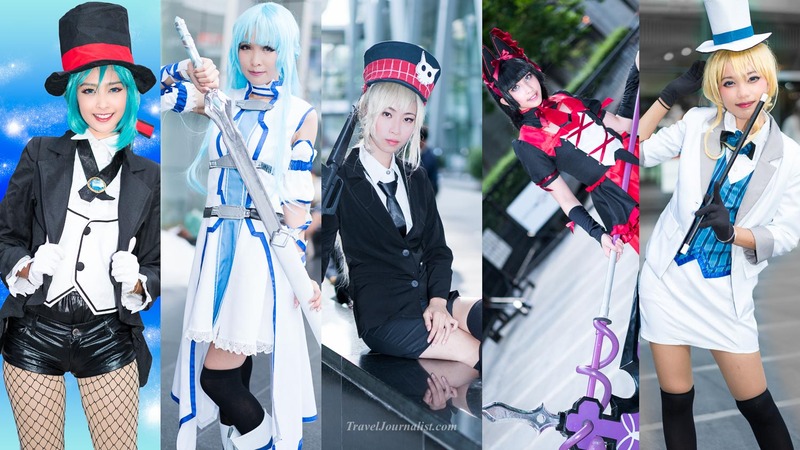 Saturday the 14th and Sunday the 15th of March 2015 took place the 5th edition of the famous Thai Japan Anime Music Festival in CentralWorld, Bangkok,Thailand. 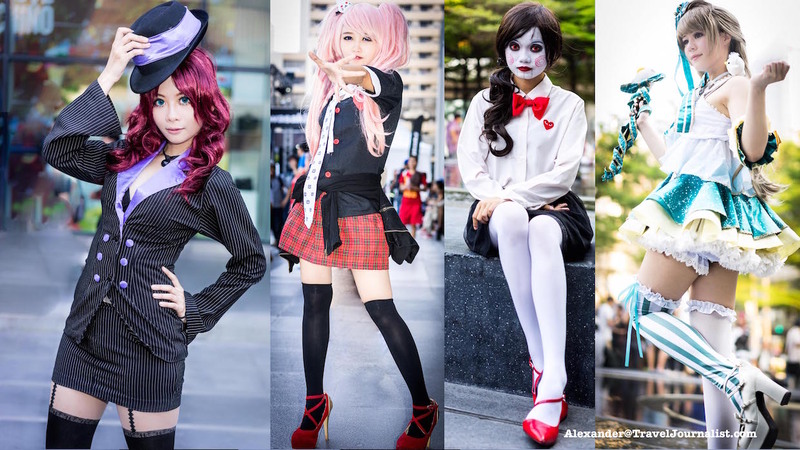 This fantastic event gather the most beautiful models and costumes of Cosplay from Thailand. TravelJournalist.com was there and you can see our best pictures below. Special thanks to all the models for their time and great pose!